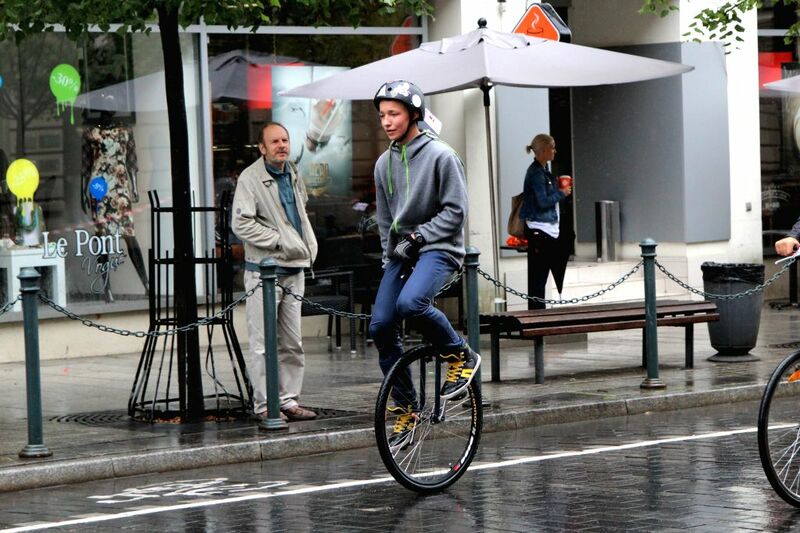 VILNIUS, Aug. 25, 2014 - A participant sitting on a monocycle takes part in the velomarathon in Vilnius, Lithuania, on Aug 24, 2014. 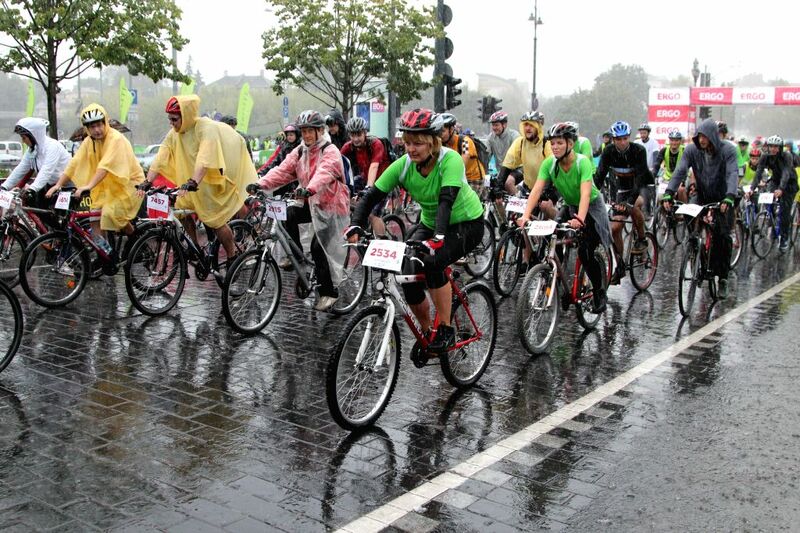 The annual velomarathon starting from 2010 includes three groups for children, hobby and sports, aiming to promote the core values of Lithuanian cycling culture: family, health, road safety and the environment. 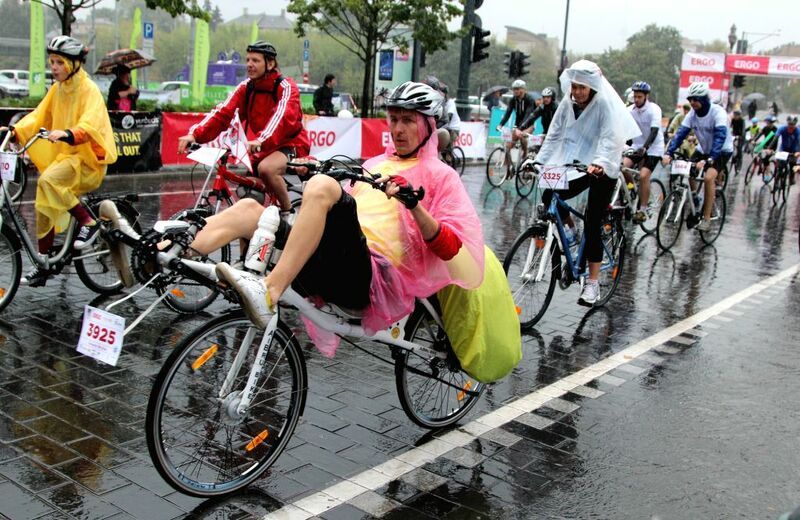 Cycling lovers take part in the velomarathon in Vilnius, Lithuania, on Aug 24, 2014. 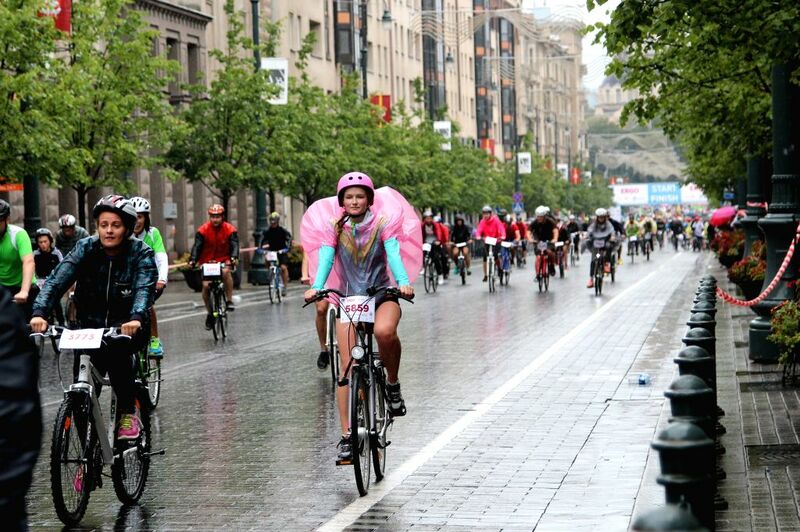 The annual velomarathon, dating back to 2010, includes three groups for children, hobby and sports, aiming to promote the core values of Lithuanian cycling culture: family, health, road safety and the environment.